Substance abuse problems are incredibly common, and it is a cause for real concern. Many people battle with addictions their entire life and, sadly, it is sometimes a losing battle. Substance abuse problems can destroy lives and the lives of those around you, but it is possible to come out on top. For many people, the first step is admitting that they have an addiction and this can be challenging. Often, the individual is unaware of the fact that their usage has reached dangerous levels and it takes a loved one to intervene. If you think that you might have a substance abuse problem, here is some helpful information on determining this and what you can do about it. First, it is important to define exactly what substance abuse is. Substance abuse is not a lifestyle choice but a disorder which is a patterned use of a drug, consumed to dangerous levels. It can lead to addiction and dependency on the substance. The more common substances are alcohol, heroin, cocaine, cannabis, opioids and benzodiazepines, but it is possible to abuse any substance. This can lead to various physical, psychological and social harm, in addition to criminal and anti-social behaviour. It is thought that the cause can be contributed to genetic disposition or a habit which manifests itself as a chronic debilitating disease. It is important to identify when usage of a substance becomes abuse so you can start treatment as soon as possible. Not only can this make it easier for the user to stop, but it will also lessen the damage caused by the substance to both themselves and those around them. Substance abuse treatment is astonishingly common in today’s day and age, which also means that there has been a lot of research carried out, and recovery rates are much higher than they were before. Identifying the problem sooner rather than later is crucial to this success as it can be difficult to treat an individual when they have “hit rock bottom.” It was previously thought that people would seek help themselves once they reached this stage, but this was not the case. Now that the medical community recognizes this as a disease, more focus is being placed on intervening and helping the individuals to overcome their problem. If you believe that you might have a substance abuse problem, it is important to reach out for help as you will need a strong support network to help you through. There is a chance that somebody has already spoken to you about your usage, in which case it is a good idea to go to that person to talk about it. If not, speak to a loved one and tell them that you think you may have a problem. It is important to find someone that is supportive yet firm so that they will be strong for you even during the dark days. It is vital that you seek professional help as soon as you admit that you have a problem. You can either visit your doctor and get a referral to treatment or contact an addiction specialist who will be able to help. There are many rehab centers which have high success rates, so be sure to search for ones in your local area. In terms of payment, an insurance policy might cover your treatment, but there are also payment plans that can be set up to make the cost manageable. There are both outpatient and resident services to consider, so it is worth taking the time to discuss the best course of treatment with a healthcare professional. In addition to seeking professional help, it has also been proven that joining local support groups can be immensely helpful in overcoming substance abuse programs. The most famous examples are 12-step groups like Alcoholics Anonymous and Narcotics Anonymous, but there may be others to try in your local area. These groups are helpful because fellow members can provide advice and support which can be particularly effective as they are going through/have been through the same process as you. It may feel intimidating to go to these groups initially, but they will quickly become an important part of your life and a great way for you to unload without fear of judgement. Understanding addiction is an important part of the recovery process, so spend time researching substance abuse problems and reflect on your own personal situation. There are different reasons why people become addicts and different effects based on the drug. 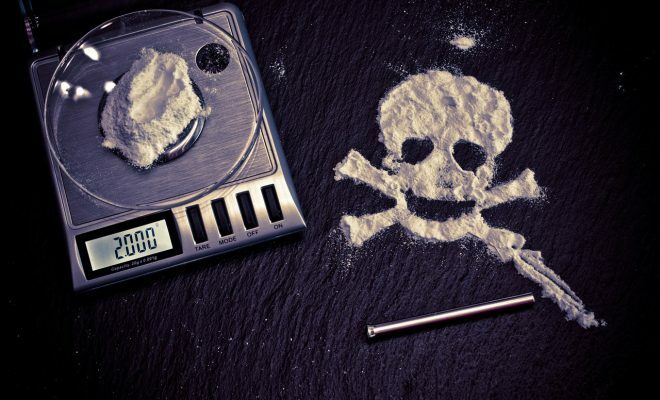 Heroin, for example, has become a significant problem and this is, in part, because many people do not understand why it is so addictive or what the potential risks are. Fortunately, there is a lot of helpful information on this online, and you can check it out here. It is understandable that you may want to keep your problem and treatment a secret because sadly, many people do not understand that this is a chronic illness yet. If you do not want people to find out, you can tell an employer or friend that you are going on medical leave. Privacy laws will prevent a doctor or medical professional from sharing your information with anybody outside the healthcare system (without your permission). Recovery is a constant process, and there are sure to be dark days along the way. It is important to remain optimistic and to recognise that you are attempting to overcome illness and chemical dependency. Having a good support network can be immensely helpful during difficult periods of your treatment. If you do not have anybody close to you, consider speaking to someone at a support group about being a sponsor. There are also lots of helpful online communities for those overcoming substance abuse problems. Finishing treatment is an incredible feeling and a remarkable accomplishment, but recovery does not stop here. Once you finish treatment, you will need to begin to build a new life for yourself. This is extremely challenging for many as the substance became such a huge part of their previous life so it might involve making new friends, finding new hobbies and cutting out negative influences. It is a bold decision, but many people find it helpful to move to a new city after finishing treatment for a completely fresh start. Doing so can be a good idea and particularly if you believe that it will be hard to break from your old life otherwise, but be sure to keep your support network in the loop if this is your decision. Needless to say, you should always remove tempting substances from where you live and avoid situations like parties where substances are involved. Much like you would treat a disease if it returned, if you relapse, it is important to seek treatment once again. It can be disheartening and disappointing to relapse but do not beat yourself up about it. The most important thing is to recognise that it is still a problem and to seek the help that you need. If you relapsed shortly after treatment, it might be worth attempting a different facility or type of treatment which you can discuss with a healthcare professional. Substance abuse problems are very common, but many people find it hard to tell when their use of a substance has become dangerous. Hopefully, the above information will help to educate and enable you to tell if you, or somebody close to you, has an addiction. It can be a long, difficult and dark journey, but it is vital that you seek help and have a strong support network around you. It should always be viewed as an illness instead of a lifestyle choice, and you should surround yourself with people who realise this and will be firm yet supportive on the journey to recovery.